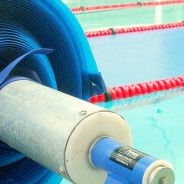 Rollup Stations aid the use of thermal covers and ensure correct storage when the cover is off the pool, extending the lifespan. Choose from the options below. 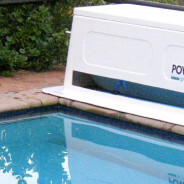 Where pools are over 7 metres in length, a cover can require extra manpower to operate. The Jupiter Rollup Station for thermal covers adds convenience as well as a cover storage solution. It also reduces the amount of water lost due to run off when removing a thermal cover. Get extra functionality from a Rollup Station. This innovative new design has been likened to the concept of a letterbox, making RollerBench our most compact manual Rollup Station yet, suited to all thermal covers. 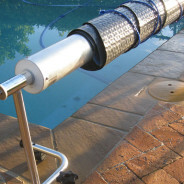 Favoured by gyms with lane covers and architects who wish to hide the workings of the Rollup Station, keeping the pool side neat and aesthetically pleasing.